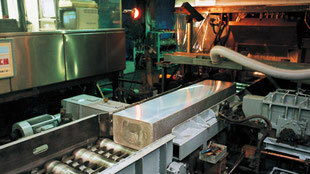 The slab (ingot) produced by the major rolling mill manufacturer boasting both quality and speed is 20 to 30 tons per. 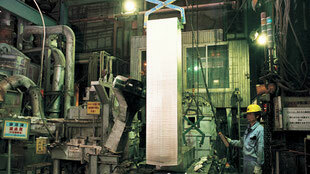 The slab we manufacture is 1 to 2 tons, and the strength of Akao is condensed here. We are realizing small lot and short delivery time with reliable quality and small slab with our DC casting manufacturing method. 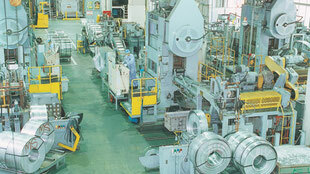 Minimum lot 300 kg ~, manufacturing lead time only 3 weeks ~. 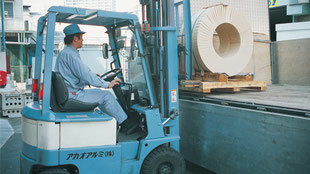 We support the Japanese manufacturing industry with detailed service as well as Q (quality), D (delivery date), and C (cost). Dissolve the aluminum ingot in an energy saving type melting furnace equipped with regenerative burner (exhaust heat recovery device). 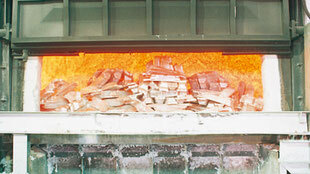 Perform chemical composition adjustment and cleaning treatment of molten metal and manufacture slab (ingot) with a vertical semi-continuous casting machine. Grind the segregation layer on the slab surface and roll it to the specified plate thickness after heating for homogenization. Prepare automatic plate shape control device, automatic thickness control device with X-ray, and manufacture high precision aluminum coil. 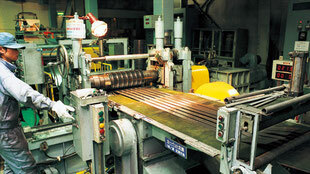 Cut the width of the coil product. 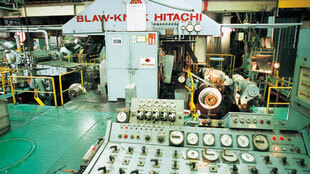 Punch out the slug material in the high-speed forward press line. 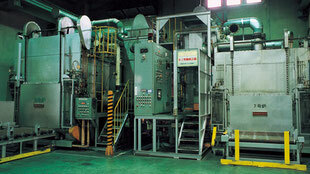 Heat treatment is performed to adjust the mechanical properties (hardness). 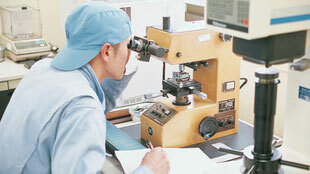 Perform shipment inspection such as chemical composition and mechanical properties. Packed according to specifications and shipped to users.